Summary – An energy audit is performed by expert technicians to pinpoint where your house is losing energy and also how to stem the loss so as to achieve energy efficiency. Energy efficiency is high on every homeowner’s list and all of us are trying to incorporate energy-efficient upgrades that will help cut down the otherwise spiraling energy bills. However, before you rush to install an energy-efficient roof, windows or even just a water heater, it is advisable to first understand how you home is using or more importantly, wasting energy! Indeed, losing energy translates to losing money. And this is where a home energy audit comes into the picture. 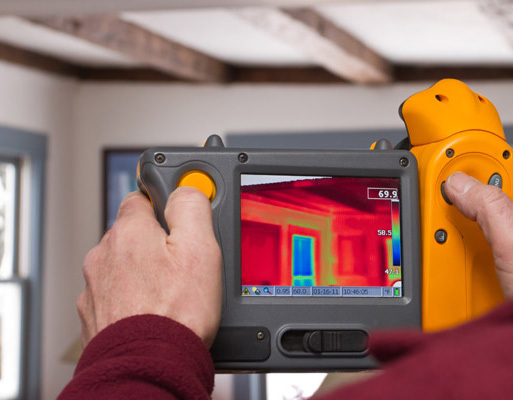 Also known as energy assessment, this is a comprehensive process that covers everything from assessing how much energy your house consumes for heating and cooling and where it leaks energy to evaluating how to make the house use energy in the most efficient manner possible. An energy audit consultation begins with a detailed discussion with the homeowners to understand their behavior and patterns of energy usage. The energy auditor will ask everything from the number of people living in the house and hours of occupancy to the general thermostat settings. This is supplemented by a thorough examination of the past year’s energy bills to get a picture of the actual energy consumption. The energy auditor will analyze the exterior and interior of the house with specific focus on the doors and windows, wall insulation, framing, fireplace, lighting fixtures, air registers, heating/cooling system efficiency, etc. The walls, ceiling, floors and roof of every room, attic and basement are evaluated with a fine tooth comb to assess the thermal performance. A health and safety inspection is included to assess the indoor air quality, carbon monoxide levels, lead paint, smoke detectors, fuel leaks and so on. Sophisticated energy assessment equipment such as blower door, infrared camera, inspection meter, moisture meter, watt meter, manometer, draft gauge, combustion analyzer, etc. are carefully used to inspect the way in which the house uses energy. This will help diagnose the exact sources of energy loss in the house. These findings are compiled in a comprehensive energy report which includes tailored recommendations on what you can do to control the energy lost in heating or cooling and also the potential energy savings from these measures. Apart from saving energy and money, the right energy-efficient upgrades also improve the comfort level of the house! The efficacy of an energy audit consultation depends on finding the right people for the job. The energy auditor should be professionally trained, certified and experienced at the job! However, the energy audit consultation is only a means to an end. You have to follow it up by implementing the suggested upgrades – be it air sealing, insulation or new windows/roof – to actually achieve energy efficiency. The U.S. Department of Energy estimates that we can save 5%-30% on the energy bills by making the efficiency upgrades identified by the home energy audit! Moreover, varying financial incentives and rebates are also offered in various states for making the houses more energy efficient.